Wine, food, music, sea and sun. These elements create the quintessential wine tasting experience at the California Wine Festival – Santa Barbara. At this sunny seaside setting, California’s best wineries pour hundreds of vintage red and white wines, complemented by dozens of the region’s top chefs and specialty food purveyors serving gourmet appetizers along with live music and an ocean view. Experience one of the California’s most popular wine festivals. •	Includes 60 minute advance admission at 12pm to Beachside Wine Fest, exclusive admission to VIP Pavilion, fruits, reserve level wines, cheeses, tables, chairs, shade! (Gate Price $270) EXTREMELY LIMITED! Friday, July 19, 6:30-9:00pm at Chase Palm Park Carousel (Gate Price $140). Includes Champagne reception, all wine and food samples, live music and an 18 oz keepsake wine glass. VIP Beachside Wine Festival - Saturday, July 20, 2019 - SELL OUT EXPECTED! Saturday, July 20, 1:00-4:00pm at Chase Palm Park Oceanside. (Gate Price $80). Ticket price includes all wine, beer and food samples and an 18 oz keepsake wine glass. 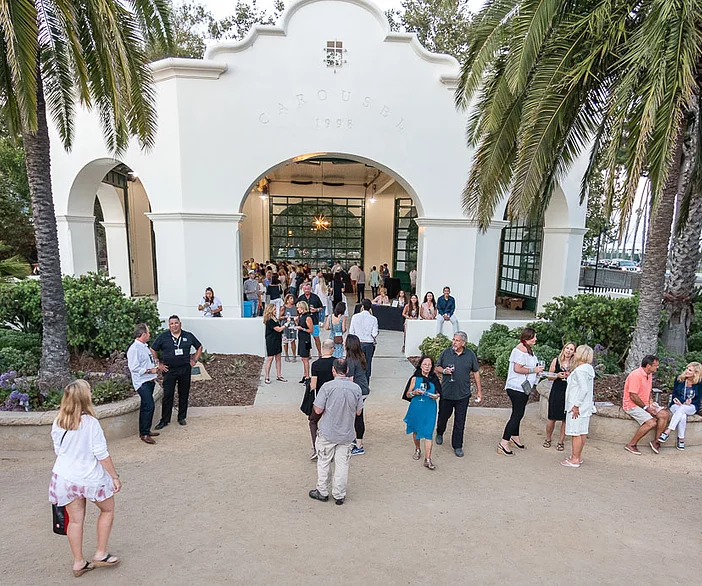 This romantic evening of rare wine tasting begins with a champagne reception under the stars at Santa Barbara’s charming old-world Carousel House. Extremely limited reserve level wines are matched with gourmet appetizers from top local chefs, artisan cheeses, fresh fruits, olive oils and more while live music keeps things super cool. This is CWF’s signature wine event. 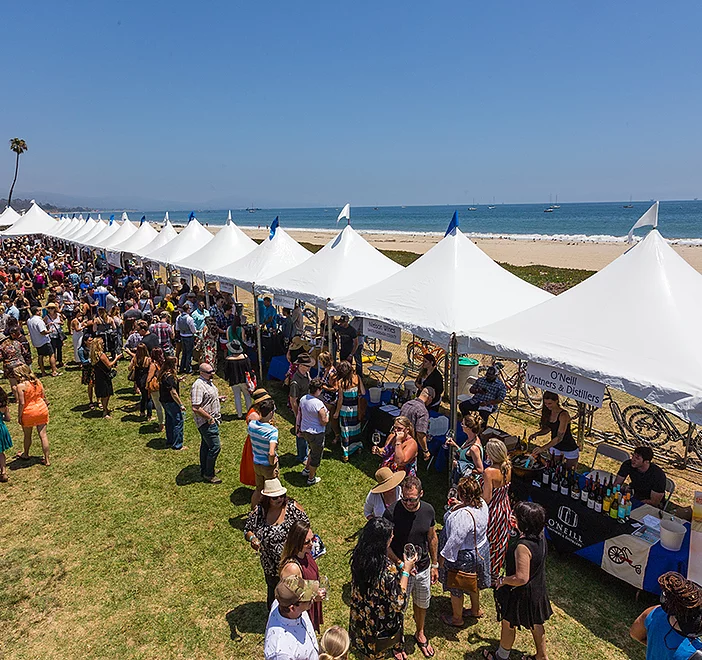 Thousands of wine lovers pour into Santa Barbara’s sun-splashed beachside location for a day of sun, sea, wine, food, and music. Wine oenophiles will find hundreds of fine wines, regional craft brews and a dizzying variety of foods to sample. Artisanal cheeses, breads, olive oil, chocolates and more! A live band keeps the beat for this all-day feast for the senses where wine and food are king and queen.